The countdown to kick off is well and truly on as a new NFL season dawns. Following New England Patriots' dramatic win to conclude the recent campaign, who will stand tall when all is said and done this time round? Here, I forecast the seasons of each team, how the opening weekend will pan out and who will win the prized Super Bowl. Buffalo Bills: (10-6): The Bills are a very interesting team this year, they added Rex Ryan as their head coach, LeSean McCoy as their RB, and Tyrod Taylor who has a lot of potential as their QB. Their schedule is not to hard and not to easy, the division they're in this year is going to be very good. I love the front seven that the Bills have, their secondary is a little bit above average to me and I think they're going to be a top 3 defense this year. On offense, they'll run the ball efficiently if McCoy is on the field, Watkins, Harvin, & Woods have to play good if they want to be balanced on that side of the ball. They'll win some big games, could win 11 or 12 if they pull some off too. They make the playoffs as a wildcard. New York Jets: (8-8): I think that the Jets right now are a little bit of a mess, not only did they lose Lenoard Williams, they also lost Wilkerson and both of them play defensive end. It's for four games but they could start 0-4 or 1-3. Their secondary is fantastic this year, Revis, Cromartie, Gilchrist, and Pyror. They lost Geno Smith after breaking his jaw and the person who broke it was on the same team. Don't forget that Todd Bowels is their new coach as well. They added Brandon Marshall on their WR squad but I just don't find their offense that explosive. They'll miss out on the playoffs. New England Patriots: (12-4): As you know, Tom Brady is NOT suspended for four games this year. Their schedule isn't hard it's quite easy, LaFell is out until week 7 but with Gronk, Edelman, and Amendola, Brady will find great success because it's just enough. Can't forget about Blunt in the backfield as well. The Pats defense is still very good, they didn't lose anyone on the line or in the LB position, Malcolm Butler needs to be a leader for this defense this year, the secondary is a little bit weak but they have the potential to be better than people expect. They'll win the division. Miami Dolphins: (9-7): The Dolphins have the potential to be a great offense this year, their schedule isn't so hard but I think they're teams that are better than them that beat them. They could win more than 9 but they'll have to play a terrific second half against good opponents. Their LBs are weak but I like their defensive line, their CB are not that good but I love Bret Grimes, Landry, Stills, Jennings, and Parker are great weapons for Tannehill to work with as well as Cameron and Miller. To me their defense needs to play very good if they want to make the playoffs, the AFC East is going to be a race to the finish. Baltimore Ravens: (10-6): The Ravens have a great defense, and offensive line. Forset is the most underrated RB in the NFL in my opinion. He will rush for 1,500 yards this year. The only problem with this team is their WR core, Steve Smith is entering his last year and I think he'll go out with a bang. I like Perriman a lot but he isn't a guy to rely on, as well as their TE. I still have them making the playoffs as a wild card because their defense will keep them in a lot of games. Pittsburgh Steelers: (11-5): I love the Steelers offense, it's going to have to outscore their opponents to win games and they're very capable of doing that. Their defense will not make big stops for them unless their secondary plays well. 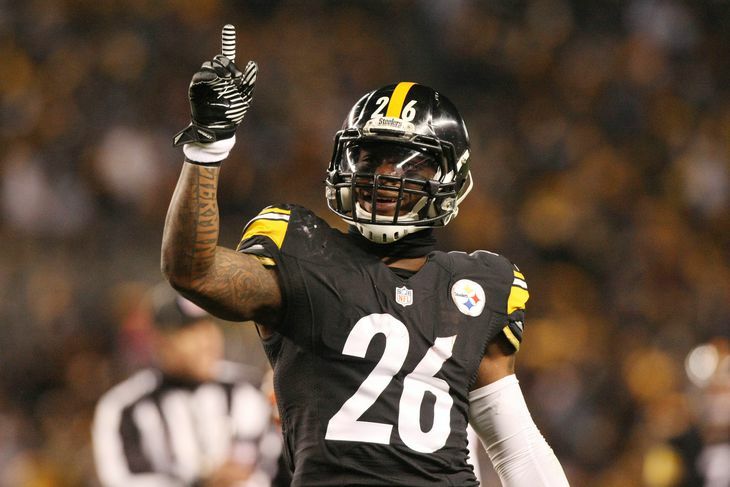 Brown, Bell, and Ben will put up 20-30 points a game if they have to. They will just edge out the Ravens and win the division. Cleveland Browns: (2-14): The Browns have a terrible offense, the only good thing about them is their secondary and overall they will have a horrible year. Cincinnati Bengals: (8-8): Cincy will have an average year, they will win and lose some games but won't reach wild card weekend. Their defense is going to struggle a ton on pass coverage but their d line is great. They have a hard schedule but they can be worse this year. Green and Hill will have a good year but I don't think they have enough on offense to reach the top of the division. Tennessee Titans: (2-14): The Titans are still in the process in rebuilding, they found themselves their QB for the next ten years, their WR are almost below average and their defense is just bad. No success this year. Jacksonville Jaguars: (1-15): That one win will be against the Titans, they have an extremely hard schedule to work with this year and the team they have is just not able to hang with other teams. The offense isn't that bad but their defense is terrible, I don't like watching teams do this bad but I think I will this year. 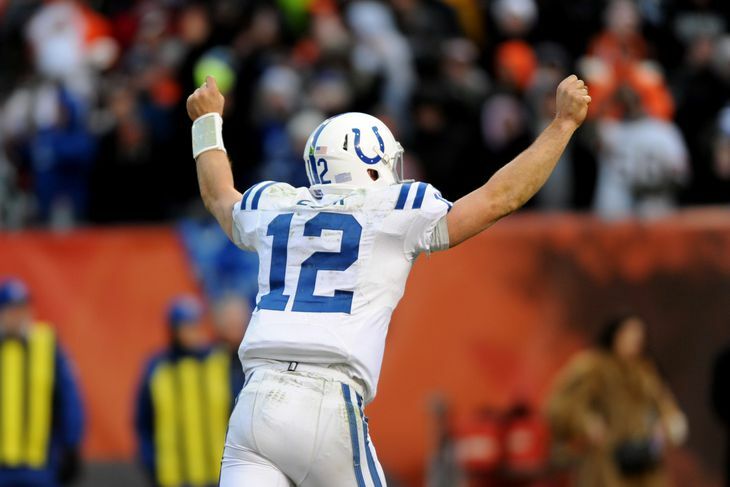 Indianapolis Colts: (14-2): Indy may have the best offense this year in the NFL. They added Andre Johnson and Frank Gore to their lineup, as well as Dorset yet I still think that pick should've been used on an o linemen. Moncrief is no scrub and they have Fleener and Allen as tight ends. Their LBs and secondary will have an excellent year and are going to surprise a lot of people. This division is a piece of cake for Indy. Houston Texans: (8-8): To some people the Texans have the best player in the NFL, JJ Watt. But this year his team will once again miss out on the playoffs. Their defense is tremendous but when you have Alfred Blue as your running back and Brian Hoyer as your QB, don't expect to win football games. Denver Broncos: (12-4): Peyton Manning might be entering his final year in the NFL, his team is a little different this year but Denver will still win the division and make the playoffs. After losing Julius Thomas they gained Owen Daniels who fits perfectly in Gary Kubaks offense. I like Denver's secondary and LBs but their d line is about average. I don't believe they will go deep in the playoffs but they have the potential to, if the defense can hold up high powered offenses they will have a very successful season. They will once again be division champs. San Diego Chargers: (8-8): San Diego added rookie RB Melvin Gordon to their offense, they also gave Phillip Rivers a lot of money this off season and is expecting a big year. Their defense is average, the guys they have in their secondary are very good but their front seven is weak. Last year the Chargers defense wasn't that good and they didn't get any better. They lost a lot of games last year because they gave up big plays and their pass rush wasn't very good. Their secondary can't do everything. Another year, another missed playoff spot. Kansas City Chiefs: (8-8): The Chiefs have tremendous potential to be a top 5 offense in the NFL, but they are not because of Alex Smith. He attempts throws perfectly to his WR not near the red zone. This year he has Avant, Maclin, and Thomas as his weapons and as well as Kelcie and top three RB Jamal Charles. The defense have two good players and they are Houston and Berry, other than that KC isn't that talented on defense. I wouldn't trust their offense after Smith couldn't hit a WR for a TD. Yet again, they will have a mediocre season. Oakland Raiders: (6-10): The Raiders have what it takes to win more games than they should but they won't because their offense is not explosive enough to score on teams that have good defenses. Their defense is good don't get me wrong, I like their front seven a lot because there's 3 or 4 guys that will make an impact but not everyone. The secondary is pretty weak, so is their offensive line. Cooper has the potential to be great but I'm not positive he won't because of his QB. Dallas Cowboys: (12-4): The Dallas Cowboys lost Demarco Murray but still have the best offensive line in the NFL, they also still have the best WR in the NFL in Dez Bryant. Joseph Randle can be good for this team in 2015, McFadden can work well with this line if healthy and Dunbar will be mostly on third downs or even play WR. The defense did get better but they lost their best CB Orlando Scandrick. They expect Claiborne to have a very good year and if that happens they will win a lot of football games. Hardy and McClain are out for four games but I think it won't hurt them a lot. The front seven for this team is good but can be great if their chemistry together clicks right away, I think Dallas will win this division again but it will be a tighter race than last year. Washington Redskins: (4-12): This whole organization is just a mess right now, the whole QB situation is crazy and Gruden is making an extremely bad decision. RG3 is the backup right now, this offense isn't so bad and I love their RB and number one WR, but the QB they have isn't good. He isn't the right guy in Washington right now and that's what the problem is. Their defense isn't good enough to carry this offense and right now the whole coaching staff have problems of their own. Bad year for the Redskins once again. Philadelphia Eagles: (9-7): The Eagles offense has gotten better this year, they added Murray and have Sam Bradford as their starting QB. They lost Maclin but have Matthews Cooper and Aghlor, my problem with Philly is that I can't trust their QB to play 16 games this year. Their defense doesn't look that good except Maxwell and a couple of LB. If you can convince me that Sam plays 16 games my mind changes a bit, they will miss out on the playoffs this year and the way they make it is if they sweep the division and beat key teams late in the season to make the playoffs. New York Giants: (5-11): Odell is coming off one of the best years a rookie WR can have, this year he won't see any of January except for the last game of the season. The Giants don't have an efficient running game or offensive line to run the football or protect Eli. Their secondary is good but their weak on front line of the ball. They don't have that type of roster to make a Cinderella run to the playoffs. Chicago Bears: (3-13): As long as Jay Cutler is your starting Quarter Back for your team, you will not find success for how long he's there for. Forte is getting a little bit older now and he's the one who produces the most for this team, Jeffery is hurt and might not play week one and Kevin White is out for a long time after breaking his leg. The defense isn't even mediocre and it will be terrible this year. John Fox is on one hell of a ride for the next 17 weeks. Minnesota Vikings: (7-9): The Vikings have a talented team this year, they can do some big things and I think will upset a lot of teams. If they can somehow split with the Packers and win a couple of tough games then they can make the playoffs. Their offense has gotten much better with AP in the backfield now and their WR core isn't so bad after adding Mike Wallace and Charles Johnson. Rudolph needs to have a huge year if this offense wants to succeed. The defense is underrated but I do think their schedule isn't in their favor and will lose some tough games. Green Bay Packers: (13-3): Arron Rodgers will have the best year of his career this season. They will finish with the best record in the NFC and will dominate for the first 10 games of the season. Cobb, Adams, and James Jones after he signs with them, will have a good year because Rodgers will finally be interacting with his teammates more and motivate them to win without Nelson. Eddie Lacy will be a powerhouse this year and have a huge impact on the Packers success this season. The defense lost some players but they will be fine. They have Arron Rodgers. Detriot Lions: (11-5): Yes the Lions lost Suh but their defense will be just fine without him. Their secondary and LBs are terrific and this defense will keep the Lions in plenty of games if they have to. The offense should be in the top 5 if healthy because their WR core is amazing and Abudllah has potential to produce a lot for this offense. They will make the playoffs as a wild card but when they get to the postseason it will be a different story. Carolina Panthers: (7-9): The defending division champs will not make the playoffs this year, losing Kelvin Benjamin is a huge loss for this team and I think it will affect them a ton. Their WR aren't that good without Kelvin but Newton will make some plays with his feet. Their defense I think downgraded from last year and it's not a good thing. New Orleans Saints: (7-9): Drew Bress is getting older by the year and this year won't be one of his best, their offense lost their main target in Jimmy Grahm but they do have Cooks and Ingram. Their defense lost Browner for the whole year and Lewis will be out for a long time, the defensive line is good but their LB are weak and will get passed on a lot. Tampa Bay Buccaneers: (9-7): Tampa wins the division this year mainly because of their offense. Evans and Jackson will produce a lot if Winston can consistently get the ball to them, he has to have a marvelous rookie year if he wants to do bigger things in the postseason and if he wants to get there. He's capable of doing it and I'm sure hes's confident in himself to do it. Their defense is good and of course Lovie Smith will get these guys ready, their secondary is a key to this defense since it's the best thing about it. Tampa will win big football games if all 11 men play together and not for themselves. Atlanta Faclons: (8-8): Atlanta doesn't have the offense to compete with the teams they have on their schedule, other than Julio, their WR are weak and I don't know how good their run game will produce since their o line is weak and their RB is a new guy. The defense is average at best, I think they can hold on when needed to but the offense won't give the defense much needed rest when they need it the most. They will just miss the playoffs. St. Louis Rams: (7-9): The Rams are an interesting team this year, their offense will be balanced when Gurley is healthy because Foles will succeed in Jeff Fishers offense. Their d line is probably the best or the second best in the NFL but their secondary is weak. Their schedule is pretty hard but they'll win some football games. They won't make the playoffs because their whole team is not on that level yet. The division they're in is tough as well. San Fransisco 49ers: (5-11): After losing Jim Harbaugh, the 49ers organization decided to hire their defensive coordinator and that was a bad decision. The thing they did here the most was show they're rebuilding, the offense don't have very good WR because Boldin is old and then Smith is injured a lot, Kapernick won't like his WR and he's going to lose confidence. Their defense is very weak at the secondary spot but their LB are good. Weak year here, will win some games here and there. Arizona Cardinals: (11-5): The Cardinals will have a great year this year, the offense can be explosive if they're all healthy. I love the offensive line and the upgrades they made. Mike Ekmpuati, Bobby Massie, & the rookie they drafted. Their defense is going to be fantastic this year, Powers and Peterson are the main CB & the Honey Badger will be playing in the slot spot of CB. Their front seven is atrocious and this team could make the NFC Championship game if the offense plays well. Seattle Seahawks: (12-4): The Super Bowl runner ups will be division champs this year once again, their offense got even better when they added Jimmy Grahm to their roster. Doug Baldwin will be key this year for the WR core, he's getting more consistent at having good games and that's what's going to help Seattle this year a ton. They lost Maxwell on defense but gained Cary Williams, Kam Chancellor is on the holdout right now and that's going to hurt them if he doesn't get his contract. That's why Wilson shouldn't have gotten that much money. They lost Malcolm Smith but they still have Irving and Wagner. Their d line is still very strong & beast mode is in their backfield. Seattle will not have home field advantage throughout the playoffs. This season will be fun, exciting, & and amazing to watch. I cannot wait until Thursday!